STOCKHOLM, Sweden (AP) — Swedish director Ingmar Bergman, an iconoclastic filmmaker widely regarded as one of the great masters of modern cinema, died Monday, the president of his foundation said. He was 89. ‘It’s an unbelievable loss for Sweden, but even more so internationally,’ Astrid Soderbergh Widding, president of The Ingmar Bergman Foundation, which administers the directors’ archives, told The Associated Press. Bergman died at his home in Faro, Sweden, Swedish news agency TT said, citing his daughter Eva Bergman. A cause of death was not immediately available. Through more than 50 films, Bergman’s vision encompassed all the extremes of his beloved Sweden: the claustrophobic gloom of unending winter nights, the gentle merriment of glowing summer evenings and the bleak magnificence of the island where he spent his last years. Bergman, who approached difficult subjects such as plague and madness with inventive technique and carefully honed writing, became one of the towering figures of serious filmmaking. He was ‘probably the greatest film artist, all things considered, since the invention of the motion picture camera,’ Woody Allen said in a 70th birthday tribute in 1988. Bergman first gained international attention with 1955’s ‘Smiles of a Summer Night,’ a romantic comedy that inspired the Stephen Sondheim musical ‘A Little Night Music.’ ‘The Seventh Seal,’ released in 1957, riveted critics and audiences. An allegorical tale of the medieval Black Plague years, it contains one of cinema’s most famous scenes–a knight playing chess with the shrouded figure of Death. ‘I was terribly scared of death,’ Bergman said of his state of mind when making the film, which was nominated for an Academy Award in the best picture category. The film distilled the essence of Bergman’s work–high seriousness, flashes of unexpected humor and striking images. In a 2004 interview with Swedish broadcaster SVT, the reclusive filmmaker acknowledged that he was reluctant to view his work. ‘I don’t watch my own films very often. I become so jittery and ready to cry…and miserable. I think it’s awful,’ Bergman said. Though best known internationally for his films, Bergman also was a prominent stage director. He worked at several playhouses in Sweden from the mid-1940s, including the Royal Dramatic Theater in Stockholm, which he headed from 1963 to 1966. He staged many plays by the Swedish author August Strindberg, whom he cited as an inspiration. The influence of Strindberg’s grueling and precise psychological dissections could be seen in the production that brought Bergman an even-wider audience: 1973’s ‘Scenes From a Marriage.’ First produced as a six-part series for television, then released in a theater version, it is an intense detailing of the disintegration of a marriage. Bergman showed his lighter side in the following year’s ‘The Magic Flute,’ again first produced for TV. It is a fairly straight production of the Mozart opera, enlivened by touches such as repeatedly showing the face of a young girl watching the opera and comically clumsy props and costumes. The son of a Lutheran clergyman and a housewife, Ernst Ingmar Bergman was born in Uppsala on July 14, 1918, and grew up with a brother and sister in a household of severe discipline that he described in painful detail in the autobiography ‘The Magic Lantern.’ The title comes from his childhood, when his brother got a ‘magic lantern’–a precursor of the slide-projector–for Christmas. Ingmar was consumed with jealousy, and he managed to acquire the object of his desire by trading it for a hundred tin soldiers. The apparatus was a spot of joy in an often-cruel young life. Bergman recounted the horror of being locked in a closet and the humiliation of being made to wear a skirt as punishment for wetting his pants. He broke with his parents at 19 and remained aloof from them, but later in life sought to understand them. The story of their lives was told in the television film ‘Sunday’s Child,’ directed by his own son Daniel. Ingmar found his love for drama production early in life. The director said he had coped with the authoritarian environment of his childhood by living in a world of fantasies. When he first saw a movie he was greatly moved. ‘Sixty years have passed, nothing has changed, it’s still the same fever,’ he wrote of his passion for film in the 1987 autobiography. But he said the escape into another world went so far that it took him years to tell reality from fantasy, and Bergman repeatedly described his life as a constant fight against demons, also reflected in his work. The demons sometimes drove him to great art — as in ‘Cries and Whispers,’ the deathbed drama that climaxes when the dying woman cries ‘I am dead, but I can’t leave you.’ Sometimes they drove him over the top, as in ‘Hour of the Wolf,’ where a nightmare-plagued artist meets real-life demons on a lonely island. Bergman also waged a fight against real-life tormentors: Sweden’s powerful tax authorities. In 1976, during a rehearsal at the Royal Dramatic Theater, police came to take Bergman away for interrogation about tax evasion. The director, who had left all finances to be handled by a lawyer, was questioned for hours while his home was searched. When released, he was forbidden to leave the country. The case caused an enormous uproar in the media and Bergman had a mental breakdown that sent him to hospital for over a month. He later was absolved of all accusations and in the end only had to pay some extra taxes. In his autobiography he admitted to guilt in only one aspect: ‘I signed papers that I didn’t read, even less understood.’ The experience made him go into voluntary exile in Germany, to the embarrassment of the Swedish authorities. After nine years, he returned to Stockholm, his longtime base. It was in the Swedish capital that Bergman broke into the world of drama, starting with a menial job at the Royal Opera House after dropping out of college. 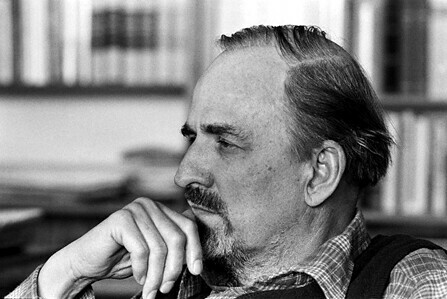 Bergman was hired by the script department of Swedish Film Industry, the country’s main production company, as an assistant script writer in 1942. In 1944, his first original screenplay was filmed by Alf Sjoeberg, the dominant Swedish film director of the time. ‘Torment’ won several awards including the Grand Prize of the 1946 Cannes Film Festival, and soon Bergman was directing an average of two films a year as well as working with stage production. After the acclaimed ”The Seventh Seal,” he quickly came up with another success in ‘Wild Strawberries,’ in which an elderly professor’s car trip to pick up an award is interspersed with dreams. Other noted films include ‘Persona,’ about an actress and her nurse whose identities seem to merge, and ‘The Autumn Sonata,’ about a concert pianist and her two daughters, one severely handicapped and the other burdened by her child’s drowning. The date of the funeral has not yet been set, but will be attended by a close group of friends and family, the TT news agency reported.